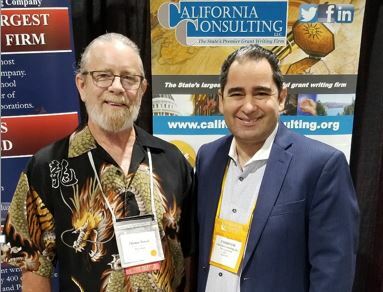 Steve Samuelian, California Consulting CEO, had the pleasure of meeting with the City of Waterford Councilmember, Thomas Powell, at the League of California Cities Annual Conference today in Long Beach, CA. - California Consulting, INC.
California Consulting, Inc Senior Project Manager David Marquez and CEO Steve Samuelian had the opportunity to meet with the department directors at the City of Baldwin Park today. We are proud to provide grant writing services for the City of Baldwin Park.